NWPB extends a warm welcome to our new Mentorship Manager / Coach, Josie Faccini. 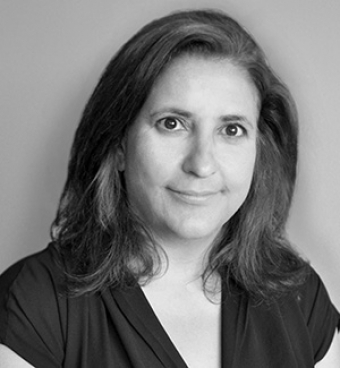 Josie comes to us with a wealth of experience working in the non-profit sector, having worked for many years with newcomers and women. She has extensive experience in workshop facilitation on topics ranging from entrepreneurial, technology, career, and cross cultural training, and is now heading up our Immigrant Mentorship Program. I'm thrilled to be working with the Niagara Workforce Planning Board as the new Mentorship Manager / Coach heading up NWPB's Immigrant Mentorship Program. 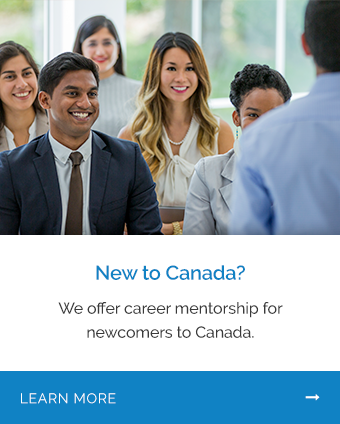 This program pairs internationally trained professionals with local individuals already established in their field, with the goal of introducing newcomers to Canadian workplace culture, and to their industry in Niagara. This program also works to provide new Canadians with meaningful professional and personal connections that help to fully integrate them into their new home communities. I've worked with newcomers to Niagara for over 10 years in many capacities, and I am passionate about seeing Niagara continue to grow as a diverse and inclusive region. As a daughter of Italian immigrants, I remember hearing stories from my own mother and family about how things were back in the old days, when those seeking refuge from the devastation of the war came to Canada for a better life. Although Canada remains a sanctuary and a place of many opportunities, I wonder if we've changed how we welcome or open our arms to those starting a new life in Niagara. I remember hearing about how people came to Niagara - by word of mouth from friends or family already settled - for the employment opportunities in the plants, mills, and canning factories. I heard about how people rented rooms, invited you for dinner, and helped in any way they could, just as others helped them when they first arrived. This reciprocal, pay-it-forward mindset helped to create strong bonds in the community and a sense of belonging for every individual. The jobs may have changed over the years, from hotels, hospitals, to vineyards, but have we changed? We now have doctors, engineers, accountants, and scientists coming to Canada and Niagara for a better life. They are highly educated, and have high level skills, access to new markets, and international business experience, and yet they have difficulty finding work and making connections. I understand recognizing education and skills from other countries can be a confusing and daunting task for local employers. At times, you may rationalize that, "if there are local people who need work, why should I hire someone from another country?" However, I urge you to look at experience rather than nationality, and consider the additional benefits that an internationally trained professional can offer. These benefits include enhanced language skills, global insights on local challenges, and stand-out credentials not necessarily held by those trained locally, which can and will attract new clients and improve productivity. With the world getting smaller through technology, endless new opportunities are opening up, and the modern employer is wise to source his talent from a global pool to keep up with an ever-changing market. We have all heard time and time again of how Canada’s future population growth will depend on immigration, and Niagara is no exception. Embracing diversity can only benefit us as a community. After all, where would Niagara be without the Leons, Walkers, DiCosimos, and Si Wai Lai, just to name a few? It is for this future-focused, community-minded reason that the team at NWPB has established the mentorship program, and I'm excited to begin my work with this team on this important project.